Whenever you need pampering, you are disappointed because of the time and money needed for such a task. 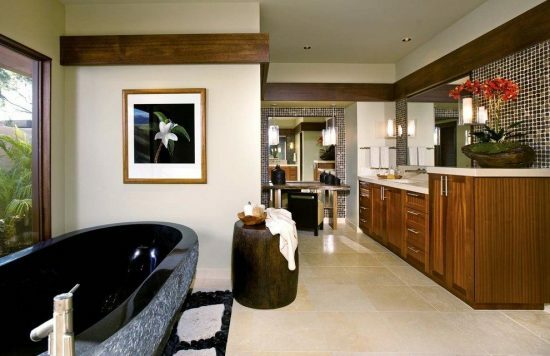 If this is your status, you should design a spa bathroom in your home to enjoy and relax whenever you need. 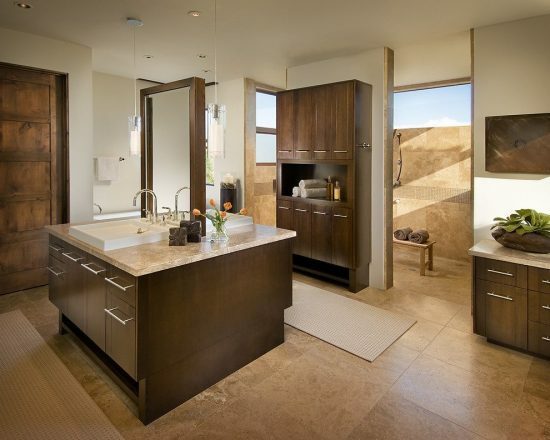 Relaxing in your bathroom needs a balanced and harmonized combination of soft light, relaxing scents, clean surrounding, and calming sounds. 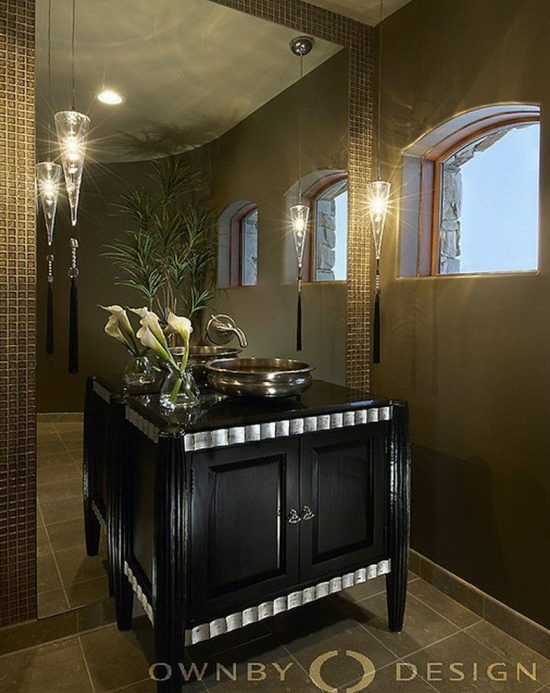 Claire and her team think that the indirect lighting can bring an elegant aesthetic to your indoor spa bathroom, especially if it has a cove ceiling. 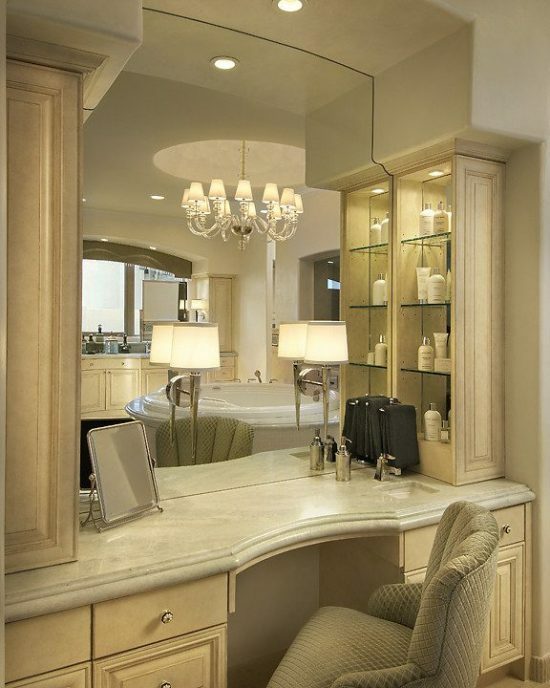 If you haven’t, you can install faux crown molding near the ceiling and install the needed cabinets or island to create the same fascinating effect on budget and keep the clean look of the place. One of the distinctive elements used by Claire’s team in the spa bathroom designs is the Himalayan salt walls, as they can create a perfect spa environment purifying the air of the room, preserving the health of your skin, and helping you to relax quickly. 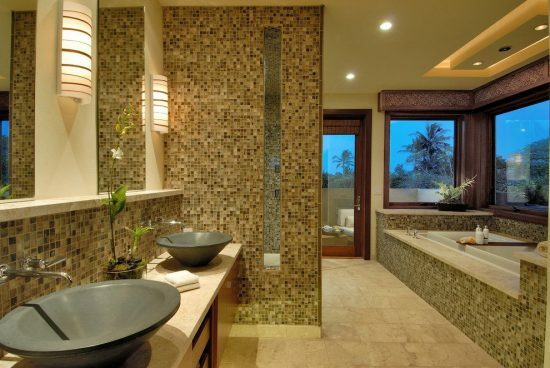 Such Himalayan wall tiles are easy to install and a perfect option for the light changing bulbs. 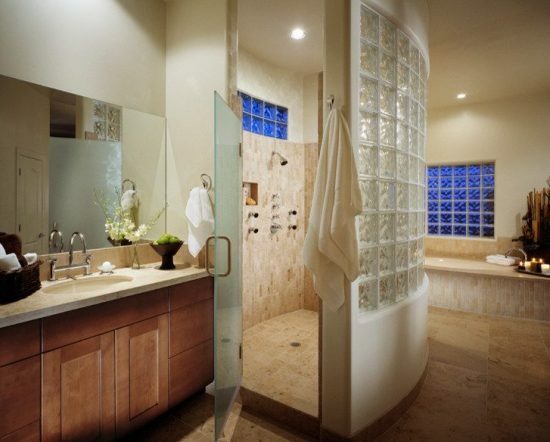 If your bathroom is large enough, you can customize an interior spa with a seating area, functional accessories, a heat retention cover, water purifiers, a filter system, lighting effects, an electric fireplace, and control panels with sensors. 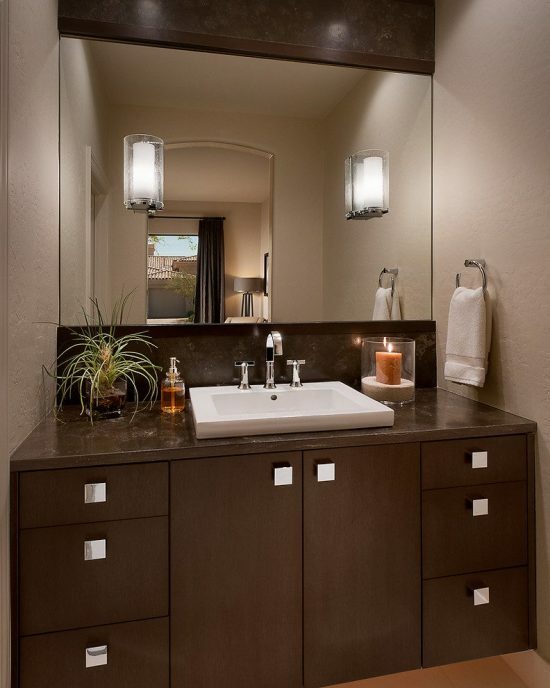 You will certainly close your eyes most of the spa time, but when you open them, you should see sleek and clean lined surfaces such as a floating soaking tub and freestanding vanity with underneath colorful or soft white lighting. 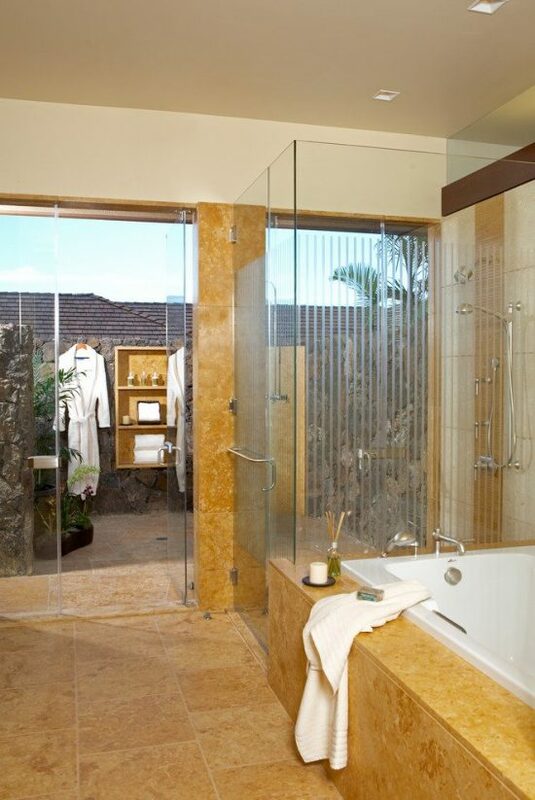 If you prefer the spa steam-room experience, Claire recommends a 20-minute shower under a misty havens steam shower. 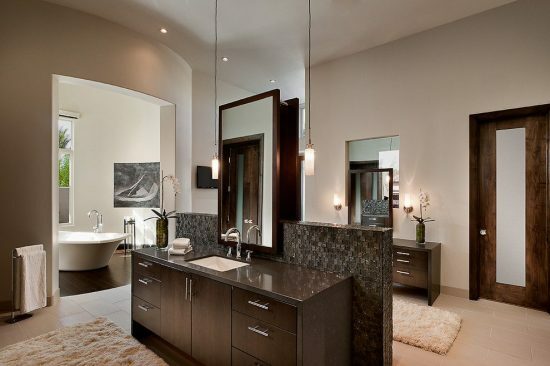 Enjoy browsing the following breathtaking bathroom designs by Ownby team members.